Hi Captain! Ai-chan is here again to tell you about the weapon extraction and reforging event scheduled on next Monday (July 16) at 11:00! Super informative pics at the end of this mail! 2. 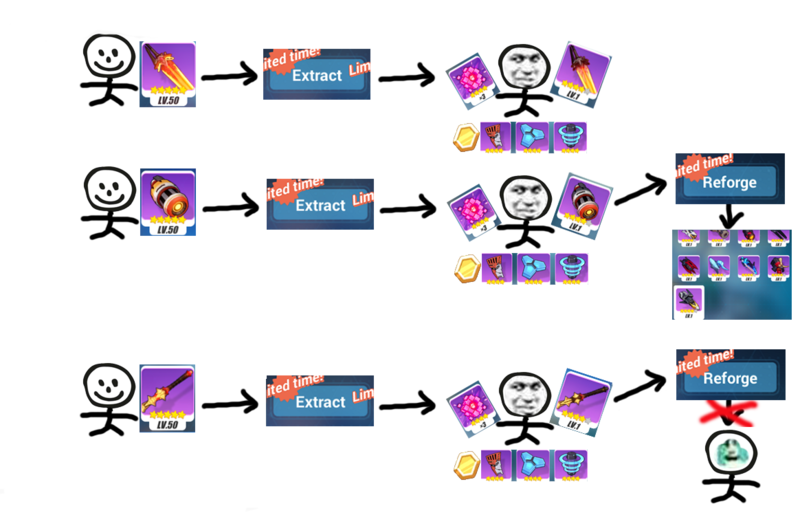 What are extraction and reforging? 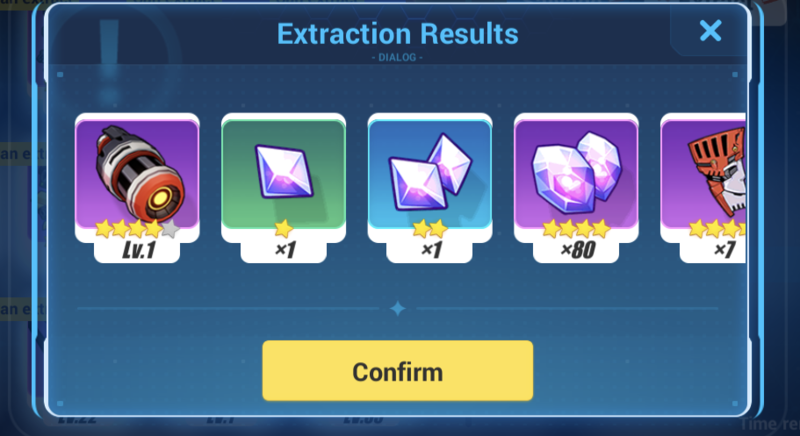 Extraction: Resets an enhanced / upgraded equipment to its original state and returns all materials spent therefor. Reforge: Replaces an extracted weapon for another. 3. How do you extract and reforge a weapon? a. Extraction: July 16, 11:00 GMT+8. Available for all weapons starting at 4-stars (does not include harmonized Divine Key or limited weapons). b. Reforge: July 16, 11:00 GMT+8. Available for laser-type weapons (only for Project Bunny 19C, Core Evoker Delta, and Quantum Destroyer Type-II). Unlock the weapons required if you want to perform extraction or reforging. a. 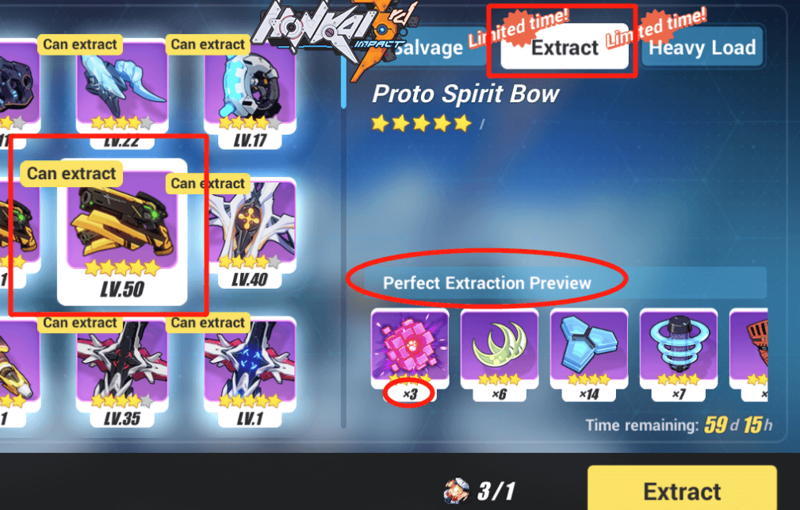 The weapon to be extracted must be enhanced at least 1 time. b. An Extraction Pod (non-physical entity). Ai-chan will provide Multi-purpose Extraction Pod x1 to every captain at July 16, 11:00 GMT+8 for the extraction system. 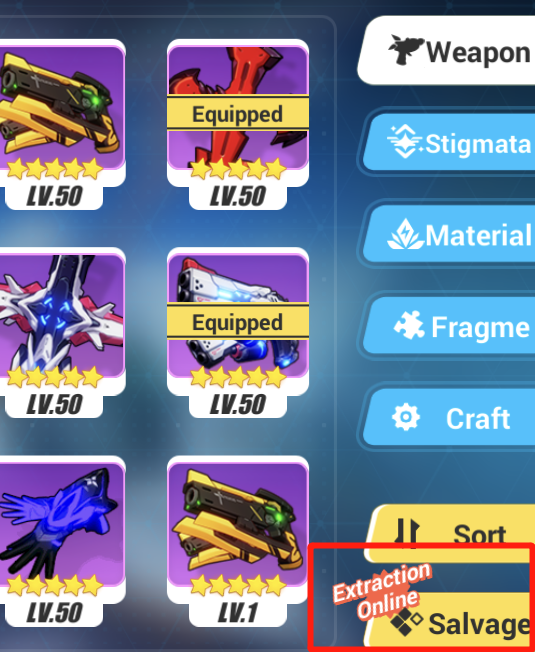 Tap the [Salvage] button and remember to tap the [Extract] button before selecting the equipment. Confirm your selection before performing the extraction to avoid unnecessary loss! Each extraction will use 1 Extraction Pod of a matching weapon type. For example, you’ll need a Katana Extraction Pod to extract katana-type weapons. The Multi-purpose Extraction Pod allows you to extract any weapon type. Extraction will first use an extraction pod of a matching weapon type. Extraction will provide an extracted weapon at Lv. 1 and no upgrades, as well as all materials spent for enhancement, upgrades, and Honkai Crystal. This extracted weapon can then be used for weapon reforging. *Pledge of Sakura is in the Refining Cabin of the dorms. Cannot extract. *Pledge of Sakura has never been enhanced. Cannot extract. *Pledge of Sakura is locked. Cannot extract. *Sunfire Greatsword is equipped by a Valkyrie. Cannot extract. *Extraction results for a Lv. 50 Project Bunny 19C. a. An extracted weapon used as the reforging material. 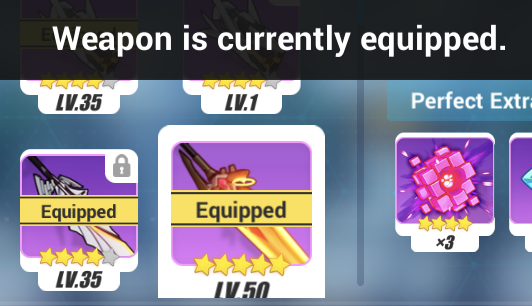 b. Reforging for the weapon type is available. 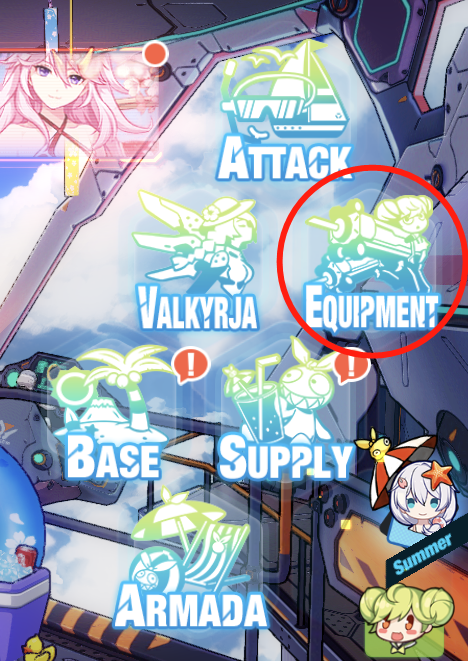 The Honkai devs will inform you of the weapon type available for reforging. For example, this captain here extracted the Sunfire Greatsword, but could not reforge the extracted weapon as greatsword reforging is not available yet,. For this round of reforging, all captains will be getting 1 chance to reforge their weapons. After reforging, the weapon used for reforging (an extracted weapon) will be consumed. You will then receive a level 1 weapon with no upgrade. 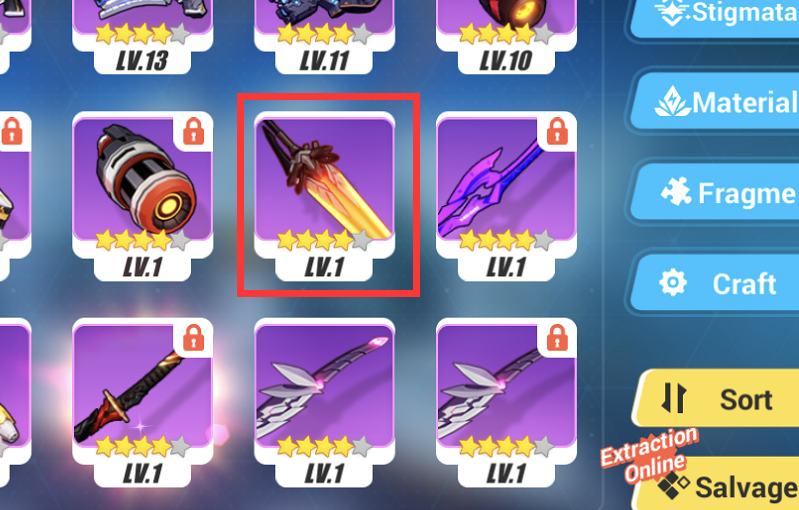 Laser-type 4-star rare weapons (Project Bunny 19C, Quantum Destroyer Type-II, and Core Evoker Delta) can be reforged to other 4-star rare weapons for Bronya (except for Book of Fuxi and M134 Vulgan Minigun). *Project Bunny 19C disappears, and the captain gets a Lv. 1 Tyr Wrist. Extraction pods of the relevant weapon type will be given out for subsequent extraction and reforging events. 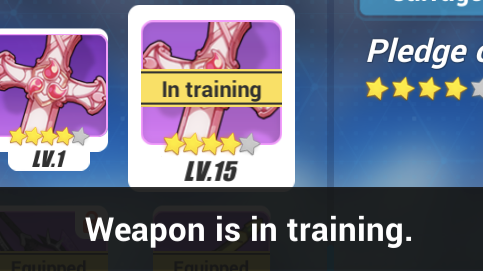 When the event ends, the base weapon for weapon reforging will become a normal weapon. 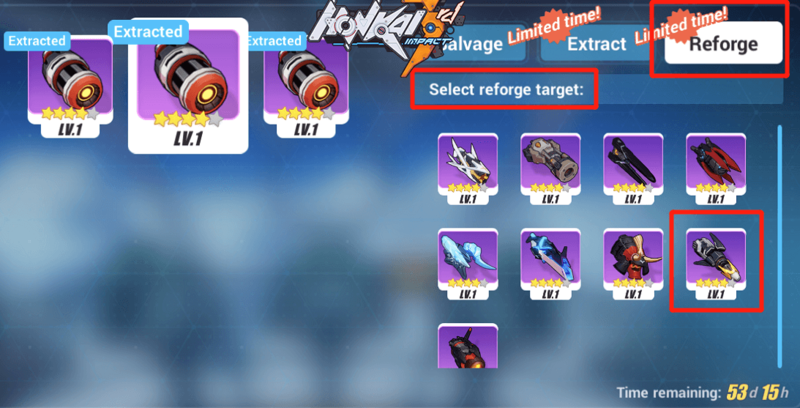 Only a weapon extracted during the event can be reforged. For subsequent Sky Breaker reforging events, captains must extract the Sky Breaker again to reforge it. If you want to extract and reforge Sky Breaker, don’t do it on July 16! And if the text instruction is too confusing, just look at these awesome pics!